I know, it is not Sunday, but thought I would update any way. Actually not to much to report here. I have been working on a couple of projects, but no finishes, yet! I do have some additions to share. 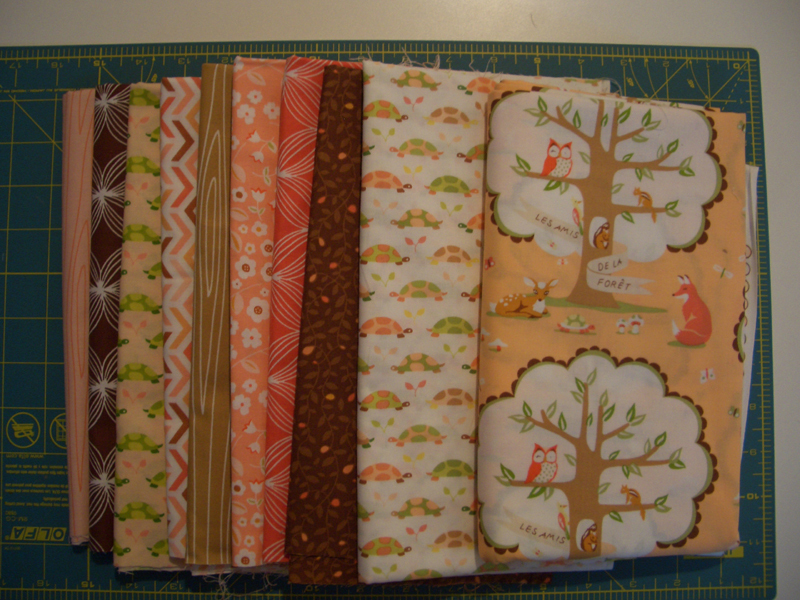 Below are the very cute fabrics, from Hawthorne Fabrics, that I will be using to make a quilt for my new granddaughter that will be arriving in six weeks. I need to get busy on this one. So, my stash report is going in the wrong direction!! 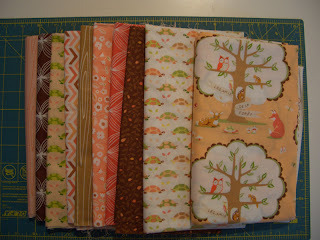 I know I will have some finished soon...Check out all the other stash reports at Patchwork Times. Purchased this week: 6.5 yards.